WE’RE COMMITTED TO PROTECTING THE ENVIRONMENT BY PROVIDING SAFE TRANSPORTATION OF HAZARDOUS MATERIALS AND WASTE. 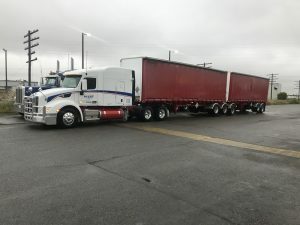 Tri-Line Carriers LP employs highly trained drivers and staff who are specialists in the transportation of hazardous materials and waste in both Canada and the United States. We’re committed to protecting the environment by providing safe transportation of hazardous materials and waste. 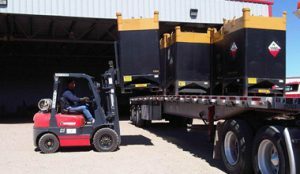 Our extensive array of permits and authorities, C-TPAT and PIP supply chain security programs, in-house document preparation, and broad range of superior grade equipment ensures that your regulated waste shipments travel safely and in compliance with government regulations throughout North America. We provide specially designed trucks and equipment for the stress-free transfer of your hazardous materials and waste. Our drivers are highly trained and knowledgeable about the regulatory requirements for these types of shipments in order to ensure compliance with all necessary regulations. With our assorted fleet of equipment and our full range of specialized transportation technology, we’re always well-equipped to haul your hazardous freight in the safest, most reliable and cost-efficient way.